Most Beer Stores will OPEN on SUNDAY, JULY 1st and CLOSE on MONDAY, JULY 2nd, 2012 to observe the Canada Day statutory holiday. 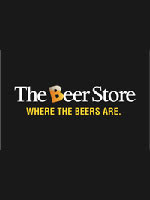 For a complete list of stores and Canada Day hours of sale, visit us at www.thebeerstore.ca. The Beer Store would like to remind you that we take back 100% of all beer packaging as well as all wine and spirit containers. The Beer Store also wishes to remind you to please, drink responsibly. To our customers and employees, please enjoy a safe and happy holiday. Please note that many of Ontario's Craft Brewers will have their retail stores open on the Holiday. Be sure to check out these gems! Click here for a look at the Breweries and their beers!